Dr. Fran Rogers, middle level academic specialist, and Austin Greene, Title I elementary math academic specialist, for Greenville County Schools in South Carolina, share three approaches and examples to co-teaching and how they can be practiced in a teacher-coach partnership. n the surface, co-teaching can appear like the daunting Wizard in The Wizard of Oz. We must remember, however, that the terrifying Wizard was really nothing more than an elderly man behind a curtain. Things are not always as they seem and we must remain vigilant about what we discredit because of what appears on the surface. If we are not careful, co-teaching falls right into this category of surface level intimidation, leaving educators unaware of the possibilities of quality implementation. In order to harness the power of co-teaching, we must gain clarity on co-teaching basics and debunk the concept of co-teaching as the intimidating Wizard. Perspicuity with co-teaching diminishes fear of the unknown and makes the concept more welcoming and approachable. Co-teaching is often underutilized and a best-kept secret, and it's time to "let the cat out of the bag" in order to provide access to all educators. Is it possible that what we don't know and understand about co-teaching is clouding our willingness to give it a try? If this is the case, we need to establish mutual clarity around the partnership as a foundation for a solid bond. Now ask yourself, what's better than one effective, student-centered teacher? The answer to this question is simple—two effective, student-centered teachers! Co-teaching creates this opportunity as a marriage between two teachers or a teacher and an instructional coach. This model requires collaboration and the ability to work through many intricacies and nuances in order to form a solid team. Creating a deeply-rooted bond, which requires effort from everyone, ensures that decisions are made in order to do what is best for all students. In order to make the best decisions for all students, a healthy and trustful partnership must exist. Understanding that teachers in a co-taught class become a seamless integration of one another is a foundational principle when embarking on this journey. Always remember, the health of the relationship of the co-teachers determines the health of the actual co-teaching. Without further ado, let's get down to the nitty-gritty basics of co-teaching by painting a picture of each approach, while remaining cognizant that the learning intention(s) and students' needs should determine the specific type of approach implemented. 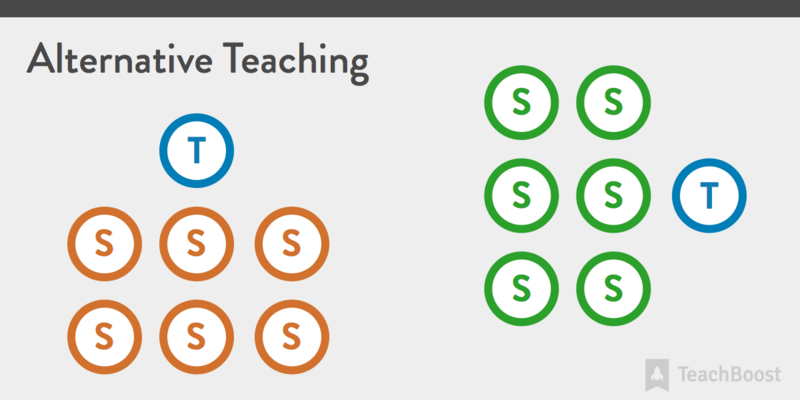 Parallel teaching is when two teachers teach and/or support the same content to lower student-teacher ratios to better meet students' needs. During the process, one teacher leads the lesson, while the other teaches on purpose. The Parallel Teaching approach is also inclusive of one teacher delivering a lesson, while the other assesses what's happening and collects data to support findings. Team teaching, also known as station teaching or multiple group teaching, consists of two teachers working one-on-one, or with small groups of students to teach concepts. During this process, teachers can ebb and flow between groups to provide targeted support to students. The same teacher always pulls a remedial group, while the other teacher always pulls an enrichment group. One teacher replicates an exact lesson for students who didn't understand in the whole group setting. Alternative teaching is when two teachers teach different lessons on the same content standard. Here, one teacher will teach a traditional lesson while the other teacher teaches the same content, but with alternative information and/or approach (i.e., one re-teaches and the other extends/enriches). One teacher always delivers direct instruction while the other teacher always pulls individuals or small groups. The same students receive the same type of alternative teaching each day. Both teachers deliver identical lessons. 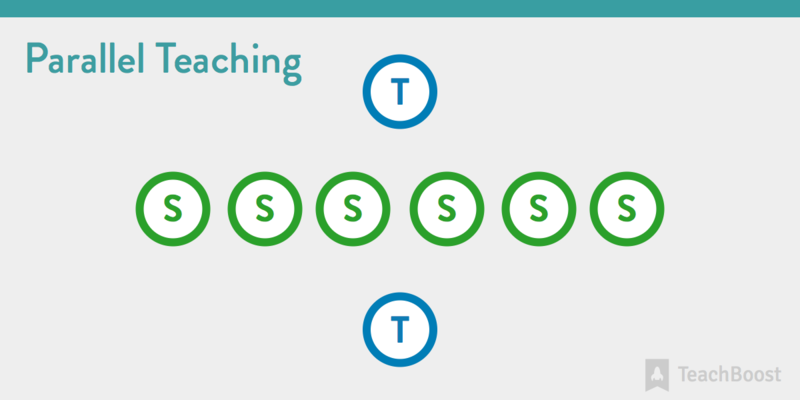 In the next blog post, we'll revisit the co-teaching models and examine how instructional coaching can support this work. Specifically, we'll explore and solutions in order to connect Diane Sweeney's coaching moves to the co-teaching models. Stay tuned! Dr. Fran Rogers is the middle level academic specialist for Greenville County Schools in Greenville, South Carolina. Prior to this role, Fran served as an instructional coach in two South Carolina school districts: The School District of Newberry County and Greenville County Schools. She has teaching and coaching experience at middle and high school levels, and has also served as an adjunct professor. Fran is passionate about equipping teacher capacity, generating shared ownership, and strengthening instructional leadership skills. Follow Fran on Twitter @franguinnrogers! Austin Greene is a Title I elementary math academic specialist for Greenville County Schools. Prior to this role, she was an instructional coach for Greenville County Schools and a math interventionist in Spartanburg District Five. She has classroom teaching and coaching experience at the elementary and district levels. Austin is passionate about developing servant leaders, building instructional capacity, and promoting self-efficacy. Follow Austin on Twitter @AustinGreene5!